On Friday (seemingly the only people in the country still at school) we got up as usual ready for the day. The routine that we have gotten so used to that the four of us go about it beside one another without a second thought. Going from room to room simultaneously ensuring everyone is happy and starts the day with a smile. Yet today I make sure I watch a little closer, I watch as Eva gets dressed into the uniform she loves, the uniform that my style conscious 5 year old chooses the night before between all the options we just had to buy. For the last time in reception she opts for the black skirt and white polo shirt combination. I watch as she wriggles into the skirt, pulls the top over her head opening as least buttons as she can get away with and squeezing her little face through the small hole; messy hair, squashed nose and all. This little white polo shirt seems to symbolise so much. It’s the top that has gone up a size since she started in September, the one that we spend each Sunday evening ensuring are ironed and ready and that without fail she somehow gets covered in food/mud/paint every single day despite usually being the cleanest child I know. We finish our breakfast, wave daddy off to work and instead of the usual playing in the playroom and dancing to music we head out into the garden to take some photo’s, the exact same thing we did all those months ago on her very first day. I snap away and for once Eva is happy to smile for the camera and we manage to head inside with dewy feet and time to spare. As the pictures load on the computer screen I can’t quite believe that this is my baby, that this beautiful face that smiles with her eyes is actually the same person that used to fit lying on my forearm, that was at her happiest curled up on my chest tucked in skin to skin under my dressing gown. Of course I see her every day but today she seems to have grown that little bit more, and I notice that little bit more. 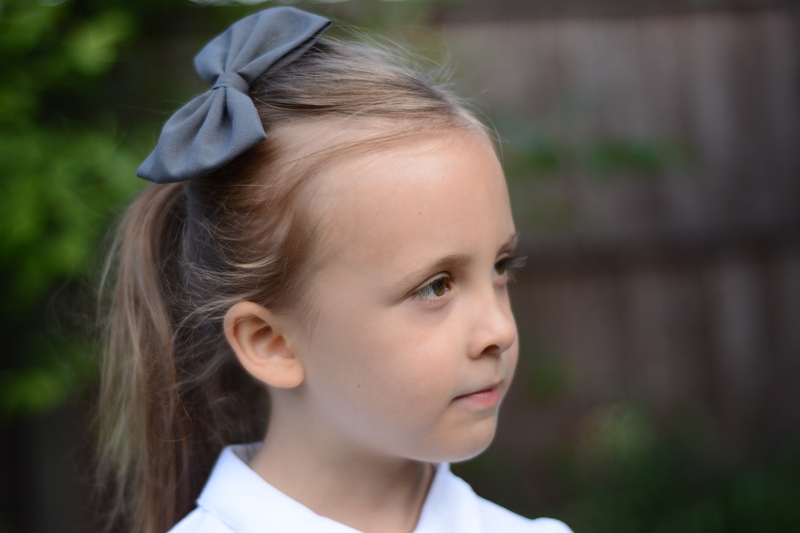 As we head off to school I had a lump in my throat, just like the day she started on that mild September morning when I managed to hold it together until I got back to the car and burst into tears. Except today was different, today she ran up that hill with confidence, greeted the teacher with a good morning and gave her the little present that we had made for them to say thank you. She turned to me and shouted “bye Mum” and that was it off she went, there was no emotional pull just a usual day, a matter of fact that this is what she knows, this is her life and change doesn’t scare her. It goes without saying of course that I am so proud of her. I am proud that the teachers and the staff went out of their way to come and talk to me, to tell me about her and that they would miss her, they even said they call her their third TA – that’s the girl I know and love! Never happier than in adult company, deep in conversation and organising. 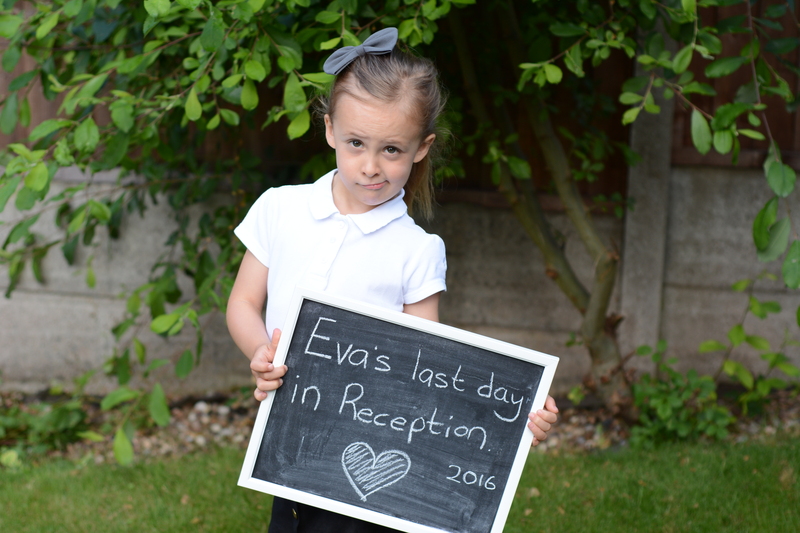 She has taken to her school life so well in terms of learning and is progressing so quickly. 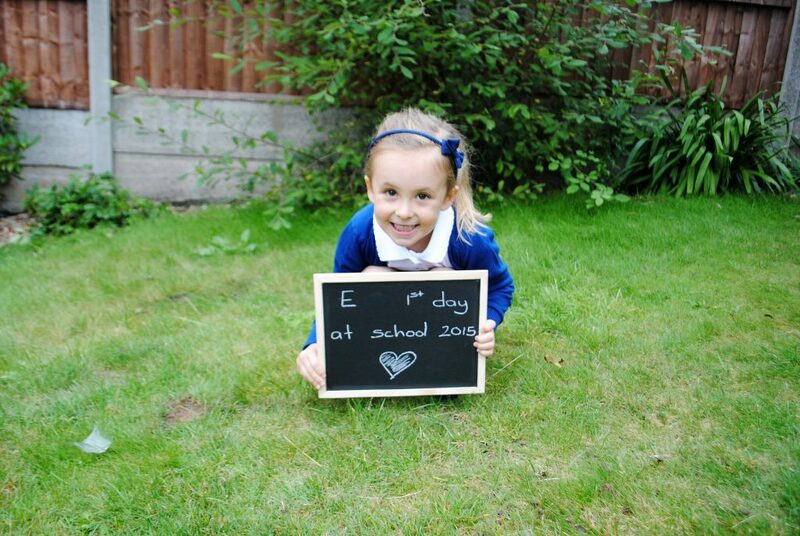 She could read and write before she started, has always loved maths and school has embedded this even more. She is now reading purple banded level 8 books, loving “Wild Wednesdays” and still getting to grips with her hatred for cursive writing – probably not helped that I cannot stand it either!! For years now she has wanted to be a doctor and this hasn’t changed, although we did have a conversation this week where after having to write about what to do as a job when she grew up she said she just couldn’t decide. Maybe a doctor of course but also maybe a teacher or a hairdresser. She then deduced that a Doctor would probably get paid more as saving lives was harder work so she would probably do that. It’s these innocent conversations that I always want to remember, not to make her feel silly when she grows up but to make her realise that when you are 5 the world is a simple and magical place full of endless possibilities to cherry pick from the sky. 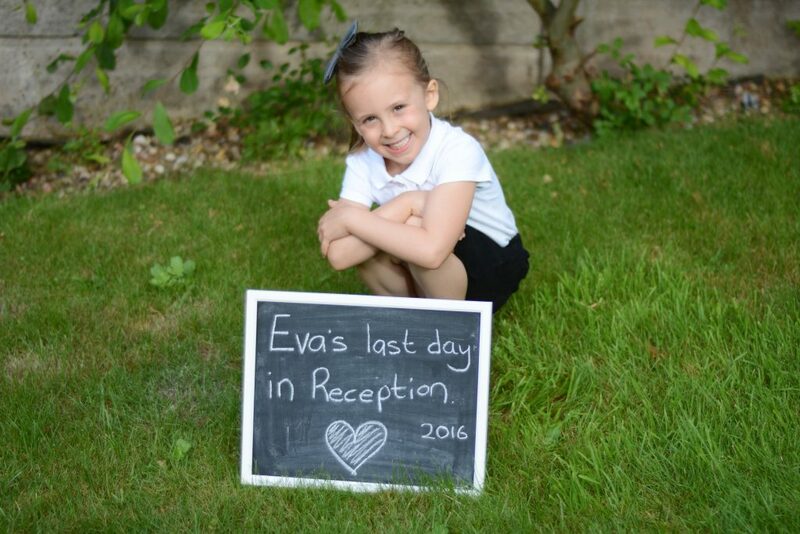 Socially school has been slightly tricky this year, as Eva generally gets on well with older children being in a room with her peers and learning how to navigate school life, friendships and still be herself has been a learning curve. And whilst her best friends are still generally older I have to say she have worked through it all so well and seems to be well loved in her class. I love her different outlook in life and the fact that she marches to the beat of her own drum, I hope that she can always feel the confidence to be herself. 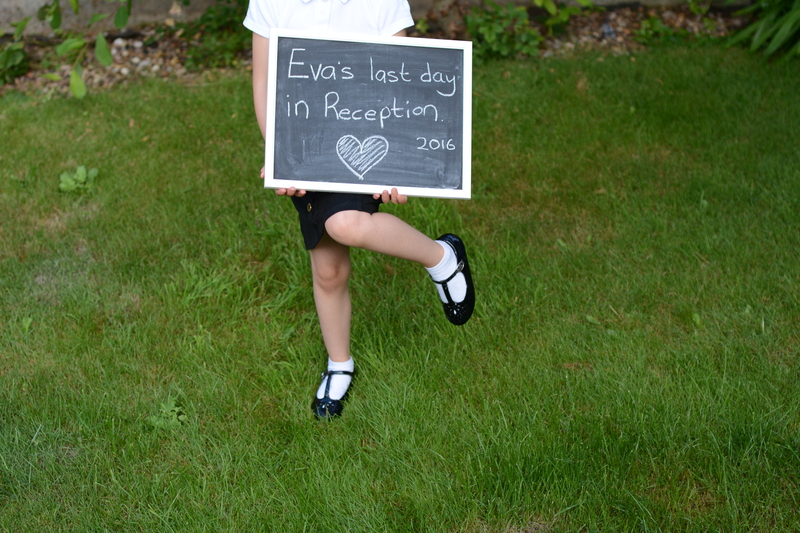 As her Reception journey ends and year 1 looms she is excited, she is excited to do “real work” and is beyond excited about getting to play on the “big playground” with the rest of the school. 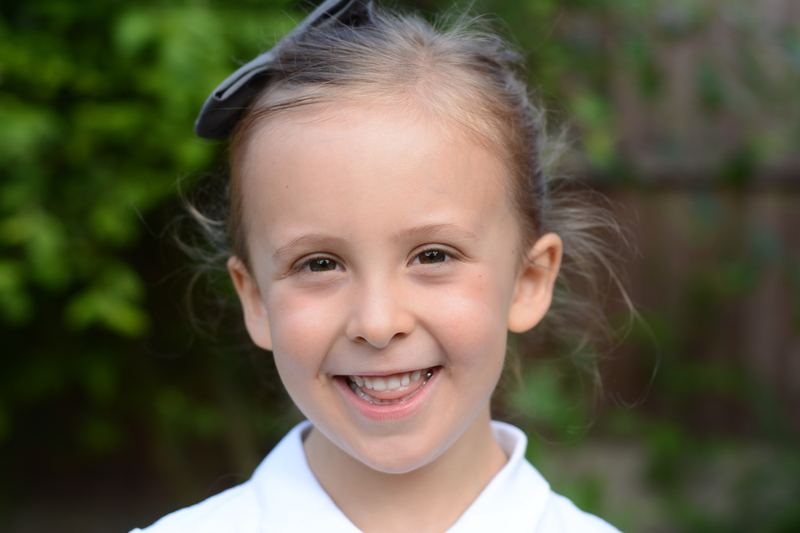 Whilst I am looking forward to it of course I am not quite ready for her to lose that little bit more innocence, that playful nature and maybe the back chat that I have heard comes so naturally as they progress through school. The last week of term has been bad enough with tantrums and cheekiness and I cannot imagine that playing a bigger part in our lives. I love the fact that she runs through the playground to greet me, blows a kiss over the field on sports day, tells me all about her day and every one else’s and that she tells me she is just so happy that I am her mummy. I don’t want to miss a single second of this in case I don’t notice when it fades. Right now she wants to read with me more than anyone else, for me to sit with her when she does her homework or to do my own version too and make a huge fun activity out of it. When we go to the park after school she sticks by me and her little sister and not in a way that she is missing out of other children running off but she seems to prefer it that way, will go off and talk to them and come back to us so proud to be part of it. But as I drove up to school to pick her up I had decided not to be sad and emotional as it ends but happy that it began and as excited as she is for the next adventure. I waited outside the school gates for my little 5 year old, they all lined up as usual as they let each class out at a time with reception first. Except today was different they lined up and we waited, we waited for the 7 year 6 children who had finished their last day of primary school heading for their new adventure. They made their way from their classroom walking through the whole school lined up who clapped as they passed, teachers and pupils with tears in their eyes and as they came through those little gates for the last time us waiting parents clapped too. It was really something special and I felt myself with tears in my eyes once more and so very glad that we had chosen this little village school that will make my child feel special, like the only people in the world right there. Eva came out beaming telling me all about how it was a special day for the year 6 children and the playground in front of the school filled with staff, parents and children chatting about their year and saying their goodbyes for the summer. This community, this emphasis on the children and making them feel special and included, this is why the school is special to me. 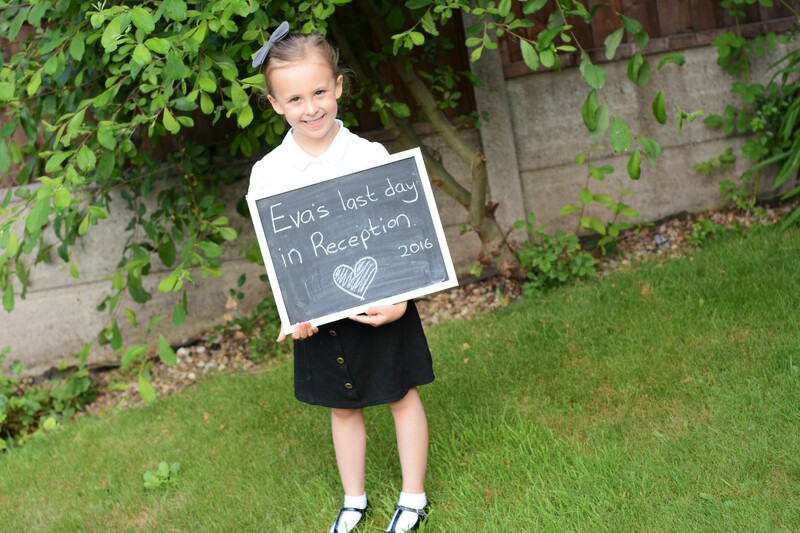 Just like that the first year of school is over, I can no longer say that she just started and she will be a fully fledged school child before I know it. As we said our goodbyes and headed to the park with lots of other families I felt sure that she could be herself, could be the person that she is and still feel included in this community and that year 1 is going to be great. But not before I soak up all the time I can in the next 6 weeks. 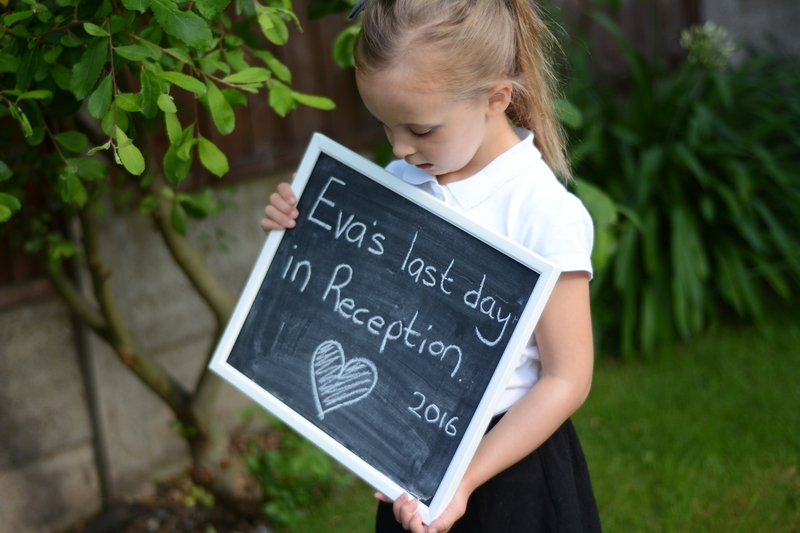 My Little Eva Dee you just concentrate on being you and you will be just fine, no matter what Mummy will always be proud. 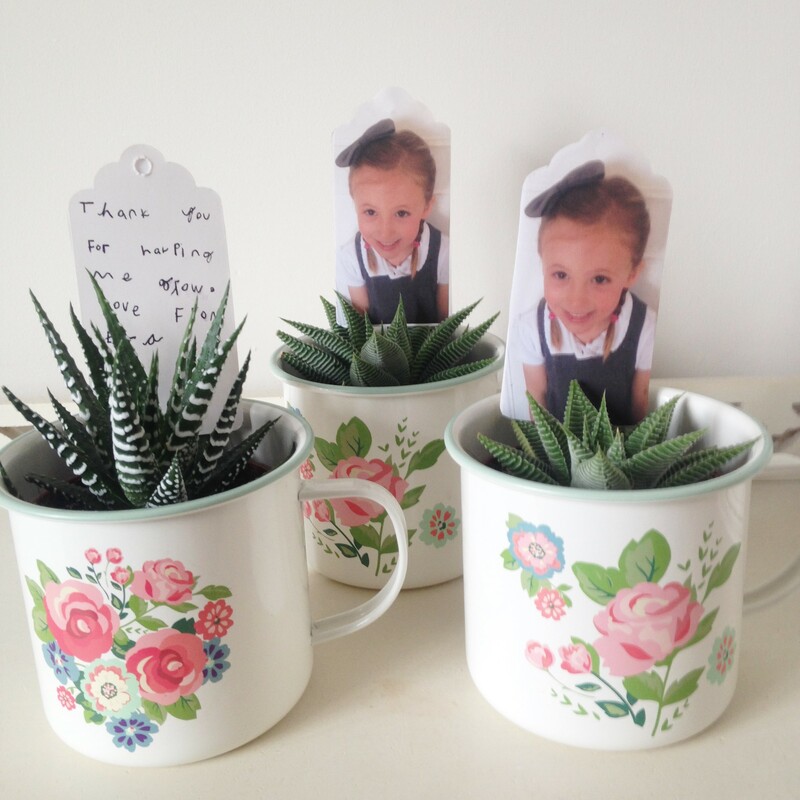 Previous Post R is for…..